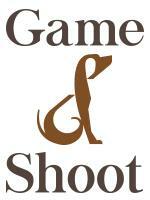 Seasonal Gamekeeper required in the Welsh Dee valley, near Overton, Wrexham. The applicant must have at least 2 years experience in releasing, feeding and keeping pheasant, partridge and ducks. Daily duties will include, releasing poults to wood, feeding, dogging in and pest control. Searching for staff for your Shoot? Advertise your job advert quickly, easily and economically on the industry's newest most sophisticated recruitment site. Prices starting at £49.00 for one month one job. The more jobs you have the more economical it is for you. Full time position open for a motivated individual. Come and join our busy friendly environment at Cairn O'Mount Stables, Malvern, PA where we train horses and riders to their greatest potential in eventing. Job involves all aspect of horse care, mucking, feeding, grooming, etc. Olympian John Pearce seeking Show Groom/Exercise Rider. Groom/Care - from quality young jumpers to top Grand Prix horse's. Exercise/ hack horse's - long trotting and galloping on beautiful trails, arena work under John Pearce's tutelage. Learn/gain experience while promoting your abilities with flatwork. Setting jumps for John Pearce is likened to auditing jumping clinic's pertaining to the knowledge you can gain. Happy work environment, excellent pay, quality living quarters, generous time off. Are you an experienced rider / groom with the skills to develop young jumpers? Want to be part of a team developing top-quality horses, with access to leading professionals? We're seeking a kind, trustworthy person to join us long-term, riding and caring for young horses from our exciting breeding program. For the right rider, there can be opportunities to jump and show. Private farm, great atmosphere, competitive salary, housing provided, peaceful and horse-friendly facilities. Looking for a new challenge? Join our dynamic, hardworking team providing quality riding lessons, sensory programmes and EFL to all walks of life. We are a centre that focuses on customer care, happy staff and willing horses and ponies. Plenty of opportunities to stretch yourself and know you are working with an organisation that is supporting disadvantaged children across Milton Keynes and surrounding areas. Junior Instructor for a well established riding school in Dorney, near Windsor, Berkshire. We pride ourselves on maintaining a loyal clientele and have been operating for over 39 years. We are looking for an enthusiastic and committed member of staff to join our already talented team. Looking for mature,experienced groom . Job comes with private fully self contained cabin, Wi Fi, Dish satellite and free board for 1 horse. Come join our great team at Bascule Farm LLC! We treat our staff well, with lots of opportunities for those with a great work ethic. Monthly stable management and grooming training by top professionals so your skills will grow in this position! Interviewing now for a new spot to work with our long term management team! Ed de Giles Racing is looking for a full time rider to come & work with the team riding racehorses. Previous experience of working with racehorses is preferable but not essential. Event riders & show jumpers are welcome. We are fun, professional team with a great working atmosphere. This is an excellent opportunity to be involved in the racing industry. You will gain experience in a variety of skills e.g. work riding, breaking youngsters, going racing, swimming horses, using a treadmill etc. Motivated, talented barn care worker needed in VA! Seeking a motivated, hard working, capable, and independent person to work at our small, sport horse breeding and training farm in central Virginia, please contact us! A great job for someone who wants to learn and work with horses! Lovely, small horse farm just north of Raleigh NC. Own Housing, stabling for 1 horse with ferrier, and weekly stipend. Lots of opportunity and really nice work and living environment! Contact us to find out more! Scenic farm in Southwest Virginia seeking reliable full-time help. Seeking experienced, professional groom to care for 3 dressage horses. Check out our ad! Please Sign In to view User Account Stats.. Please Sign In to view Jobseeker Documents. Please Sign In to view No-Show Employer Feedback. Please Sign In to view Map Location. Copyright © 2002-2019 Sunny Online Limited. All rights reserved.